The campaign has been live for almost two months now and we are delighted to see how it has acted as a platform to facilitate the ongoing work schools and other youth organisations are doing to address bullying and promote respect. We recently met with a group of students at Gleniffer High School in Paisley who are helping implement the school’s anti-bullying initiatives. Gleniffer is currently developing its new anti-bullying policy in line with the local authority’s approach, and is working to develop a vision, values and aims. 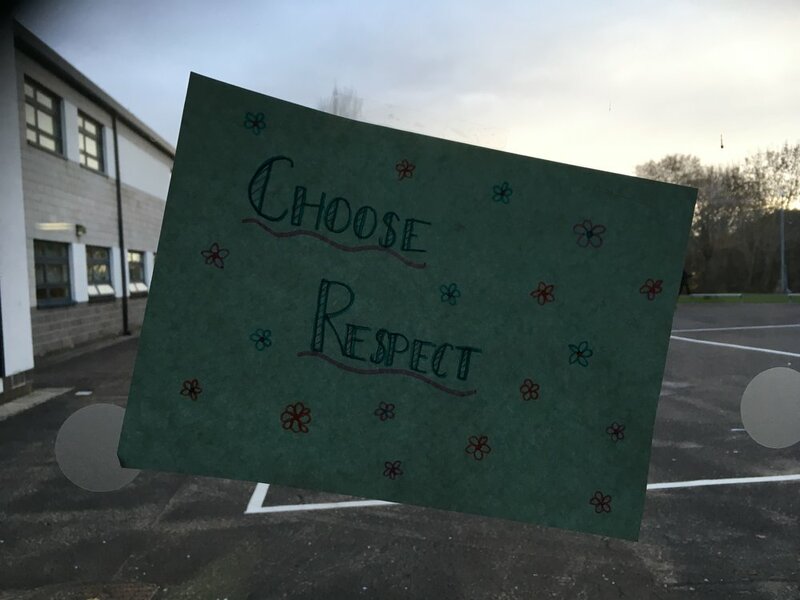 The school’s ethos is very much centred on respect, making the #ChooseRespect campaign learnings valuable in informing the school’s strategy. During the visit, we also spent time with Gemma Denny, the school’s principal teacher of pastoral support, who shared some of the recent work carried out at Gleniffer to make the learning environment a positive, inclusive place for all. Gemma said: “A variety of events were organised by our S6 House Captains and Pastoral team, which included the whole school pledging to #ChooseRespect through a variety of different posters, wearing blue, face-painting, hair braiding and a visit from “The Hara” Band. “We were exceptionally lucky to have respectme come into our school to take in the atmosphere and leave Gleniffer’d. All of the activities reinforced the #ChooseRespect campaign. This provided us with the opportunity to explore the meaning of respect – not only for others but also for themselves. “We look forward to working with respectme in the future by embarking on the next phases on the #ChooseRespect campaign, including Celebrating Difference, Building Empathy and Positive Relationships.” Well done to Gleniffer High School for supporting the campaign and joining over 650 pledges nationwide united in addressing bullying behaviour at its source. You can sign up to the campaign at any time here.